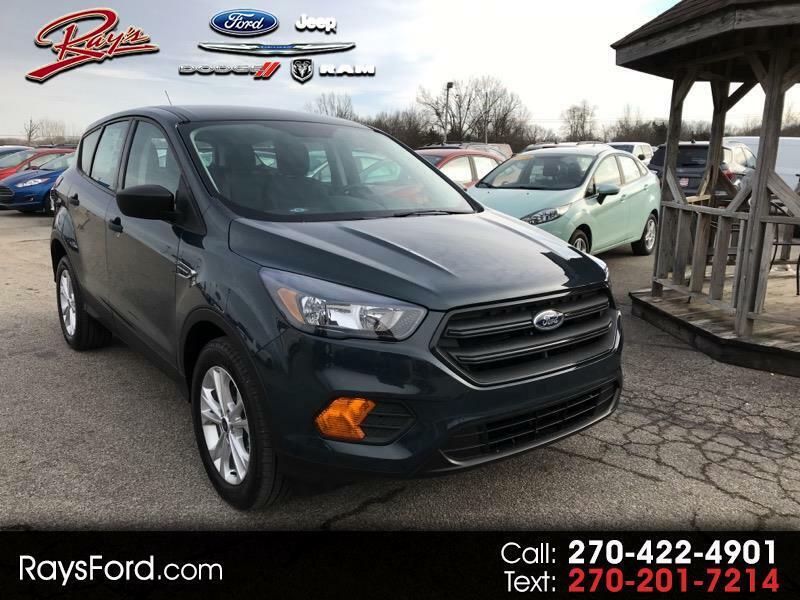 New 2019 Ford Escape S FWD for Sale in Corydon In Ft Knox KY 40108 Ray's Ford, Inc.
INTERNET PRICE INCLUDES ALL DISCOUNTS AND REBATES + $500 TRADE ASSIST (MUST TRADE A 1995 OR NEWER VEHICLE TO QUALIFY). CUSTOMERS MAY ALSO QUALIFY FOR MILTARY APPRECIATION, FARM BUREAU MEMBER OFFER, FIRST RESPONDERS BONUS, COLLEGE STUDENT PURCHASE PROGRAM, OR OTHER PROGRAMS. STOP BY AND SEE A SALES REPRESENTATIVE FOR MORE INFORMATION.